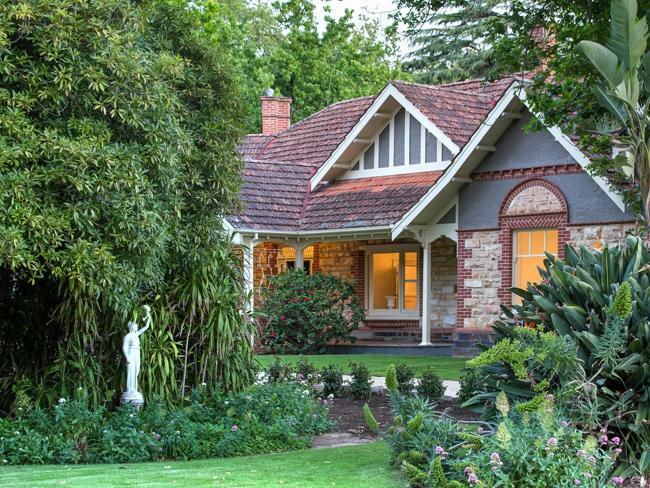 Here are three beautiful (and expensive) Adelaide houses in the Federation Queen Anne style. 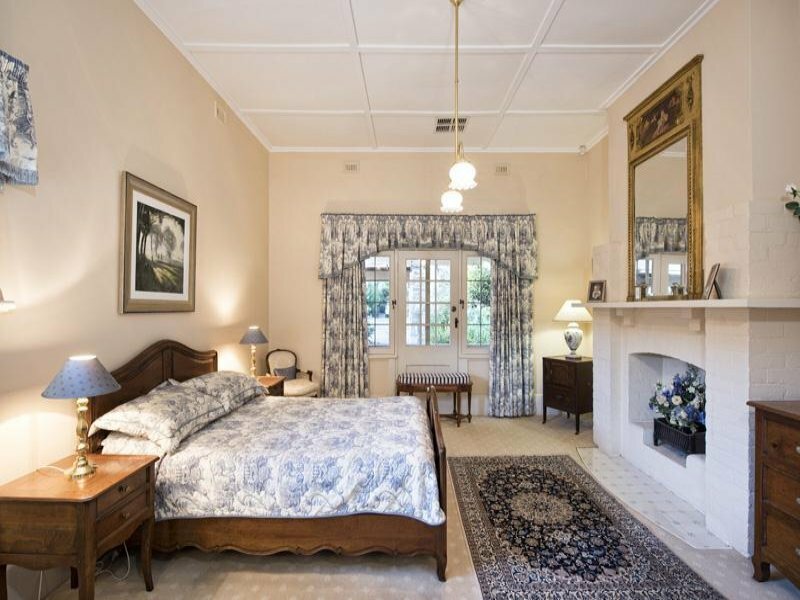 The former Downer house, ‘Dawley House’, is one of the finest Federation properties in South Australia. The other properties are placed in the ‘best streets’ of Adelaide, and they all sold for well above median price for their luxurious area. In fact Victoria Street Unley Park is considered the ‘best address in South Australia‘. The house at 40 Northgate Street Unley Park, shows distinct elements of the Federation Bungalow style, although probably built before World War 1, prior to the boom in Bungalow builiding. The ceilings are still high and the rooms more spacious as a result. Perhaps it was altered in the Bungalow style. All of these houses have an Arts and Crafts influence. Fireplace inglenooks in the first two houses (a corner or nook near a fireplace; chimney corner). Extensive custom joinery around the fireplaces, which are the focal point of the room. Most fireplaces are arched, a Victorian influence different from the Eastern States custom, which used a rectangular design, with tiled sides and fitted grates. Extensive fitted joinery visible in the fireplace surrounds, staircase, even the door surrounds. Also there no leadlight windows – showing little Art Nouveau influence! The house at Victoria Street has painted much of its internal joinery. Leaving the timber natural is true to the honesty of the ‘Arts and Crafts’ philosophy. Leaving the exposed natural grained timber does ‘highlight’ the (expensive) original timber joinery. 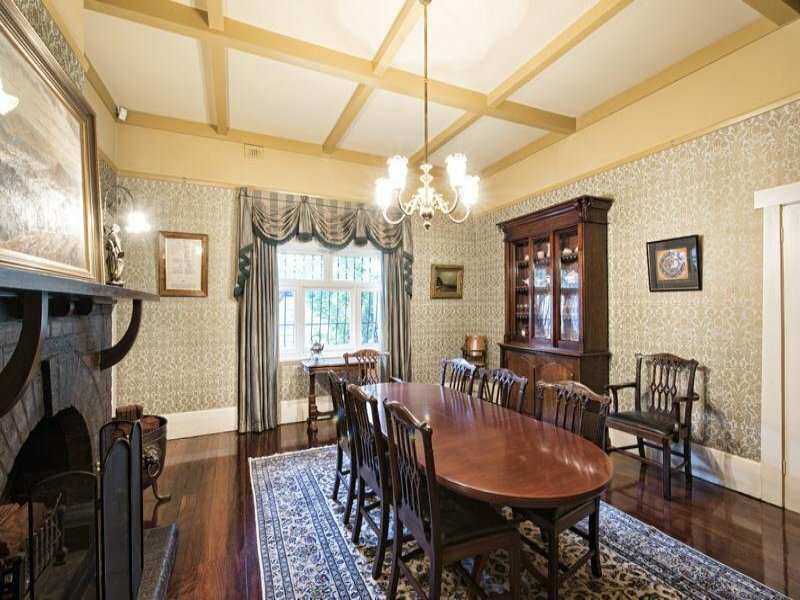 A LEABROOK mansion built for the Downer family almost 110 years ago was on the market In 2014. Dawley House was built in 1905 for former Foreign Minister Alexander Downer’s great-uncle, Frank Downer, who would start hunts from the front of the Glynburn Rd house. It is expected to sell for more than $4 million. The 4092sq m property includes 15 main rooms, a swimming pool and its own croquet lawn. Mike and Gabrielle Canny bought the property for $1.8 million in 1999. “It’s an exceptional house,” Mr Canny, a management consultant, said. “You do regard yourself as custodians of the property. 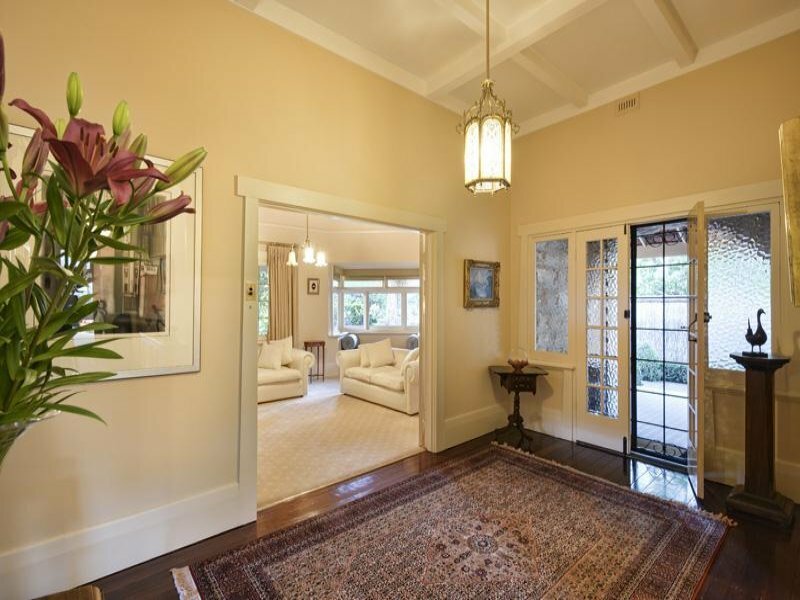 Agent Lew Toop, of Toop & Toop, said the size of the property set it apart, as well as the formal, English gardens. “It’s part of its history that the wealthy of Adelaide would come here for hunts and croquet days on the front law,” Mr Toop said. 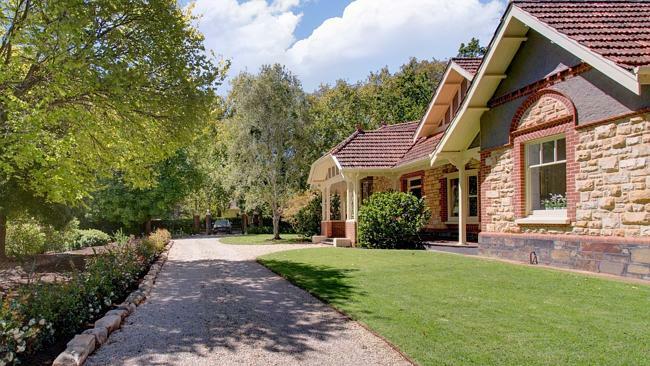 “This is one of Adelaide’s finest residential estates. 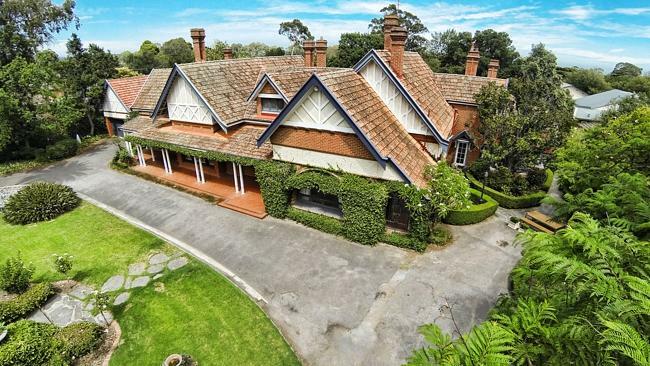 Built in 1905 for the Downer family to the most meticulous standards of the time in the then new and modern ‘Art Nouveau influenced Tudor style’ it occupied a whole suburban block in the open land and paddocks of Leabrook. It now stands amongst beautiful gardens on approximately 1 acre secluded in the heart of the eastern suburbs. Approached through wrought iron gates and curving through the gardens and a wide swept driveway this sprawling gracious family home with feature brickwork, wide eaves and timbered gables, beautiful terracotta tiled roof and stately decorated chimneys, is positioned as if prepared perfectly for the setting of a film. With rooms and hallways of wonderful proportions, grand crafted architectural features and amazing space, this is a unique house. Designed for entertaining and the ultimate in family living, it has only improved over time with a wonderful meld of old and new. The stunning entrance hall has the feel of the stately English manor with timberwork, dark floorboards, striking fireplace and box window with window seat. A high dormer window fills the space with extra light. A sitting room overlooking the front garden through large windows and an imposing formal dining room lead off the entrance hall. The den with unusual arched window and separate entry and a cloakroom off the hallway are reminiscent of a more gracious era. A parent wing with a private entrance comprises of master bedroom, small sitting room, bathroom and robe and could be reconfigured to individual needs. The contemporary kitchen, centrally placed, serves the formal areas of the home as well as the family and entertaining areas. A staircase leads downstairs beneath the house to three rooms that were originally the servants’ area, now used as a retreat, store rooms and a generous cellar. Large picture windows in the architecturally designed family room extension overlook the pool, entertaining area with bi-fold doors open to the deck, bringing the outside in. Separate areas are designed for entertaining, working and relaxing yet flow seamlessly. The Myrtles, in Medindie, for $5 million in May. 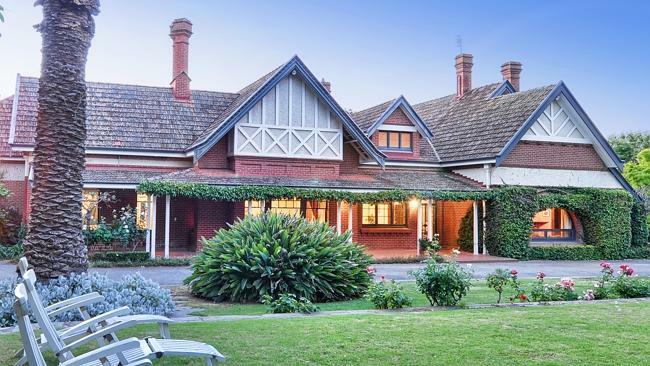 ANOTHER South Australian home has sold for more than $5 million, breaking the record set by controversial Medindie mansion, The Myrtles, less than two weeks ago. 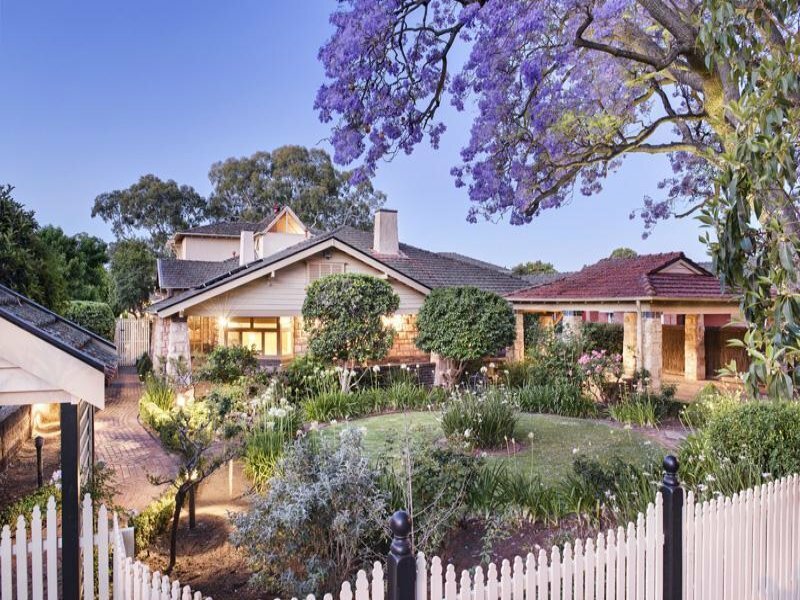 A stunning 1912 stone mansion at 4 Victoria Ave, Unley Park, on a 4622sq m two-title block, has settled for over $5.1 million, making it the most expensive SA residential sale for the year. Harcourts Brock Williams agent Michael Brock, who sold the property, said it was a landmark property for the area. “It’s an iconic property and the purchasers wanted to buy something that had estate-like grounds in one of South Australia’s most premier addresses. The mansion features a detached guesthouse or games room, a tennis court and swimming pool and includes a 1600sq m vacant lot. 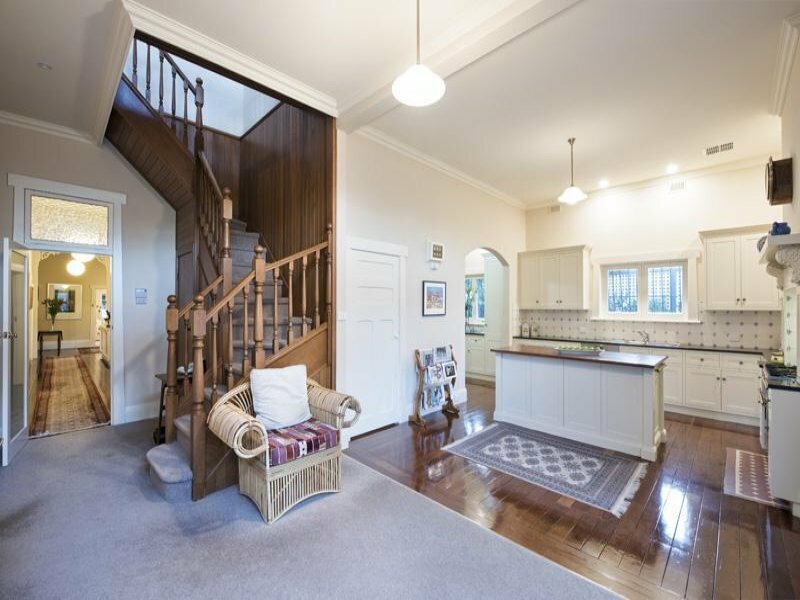 The four-bedroom stone home has been renovated throughout but still boasts original character features including high ceilings, leadlight, open fireplaces, bay windows, chandeliers and polished Jarrah floors. The chef’s kitchen has stainless steel Smeg appliances, a butler’s pantry, stone bench tops and a sommelier cellar. 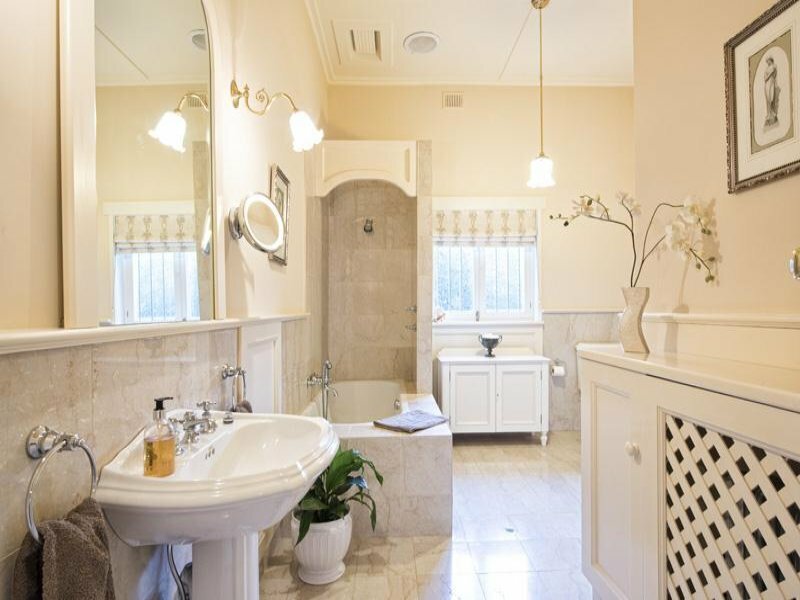 The home has a formal sitting room, a family room and the separate stone building with bathroom and kitchen has a 16sqm living area and a double garage. Mr Brock said the new buyers were ecstatic with their purchase. “They’re originally from South Australia and they’ve been living interstate and overseas for many years but they are excited to come back to the home,” Mr Brock said. Mr Brock said prestige homes of that size in one of Adelaide’s premier suburbs did not come on the market often. The purchasers did not set foot on the property until after they were committed to buy it, he said. “They saw it on our Harcourts website and saw it advertised in The Advertiser but they couldn’t get down here so I did a walk-through video, sent it up to them that same day and negotiations started within an hour or two of seeing it,” Mr Brock said. CIRCA 1912 STONE MANSION PLUS DETACHED GUEST HOUSE OR GAMES ROOM, TENNIS COURT AND SWIMMING POOL. “The address says it all, and the grounds, together with the renovated mansion complete the ultimate family package. The estate has flexibility being offered as a whole, or in individual packages to suit. The residence and granny flat with pool (with or without the court) and the 1600 sqm (approx.) vacant allotment facing Victoria Avenue again with or without the extra land including the tennis court. 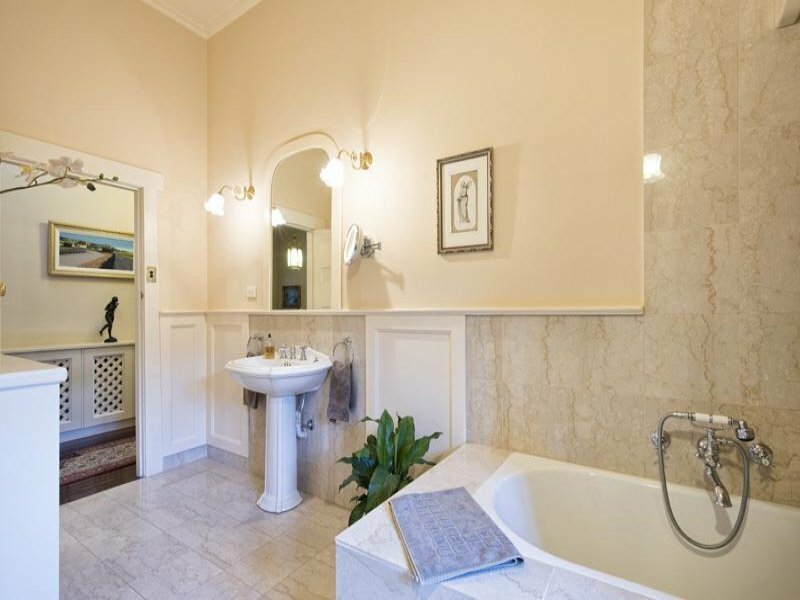 “Style and sophistication abounds yet classic original features such as leadlight, open fireplaces, polished Jarrah floors, bay windows and chandeliers. Natural light with beautiful garden outlooks prevail, while internal features include a chef’s dream kitchen with smeg appliances, stone bench tops, butler’s pantry, adjoining north facing meals area and a sommelier cellar. Grand Elegant living on stunning allotment with Heated Pool and Court. This captivating character residence boasts generous proportions and period charm providing exquisite living both inside and out. 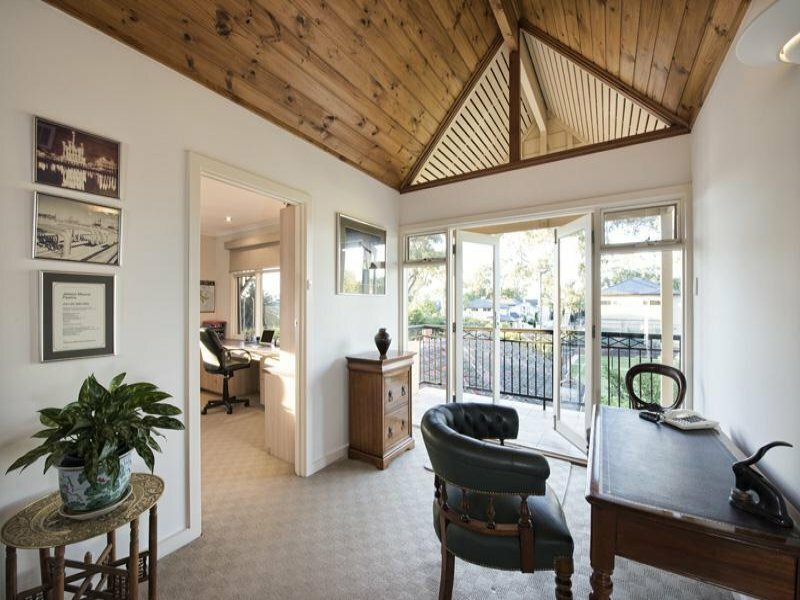 Exclusively situated in prestigious Unley Park and set on an impressive 1,855m2 allotment. Beyond the manicured grounds and beautiful facade sits the perfect combination of period features and character coupled with modern conveniences. You are instantly welcomed with the grand entrance hall, high ceilings, and elegant formal sitting room. The spacious master suite boasts WIR and generous en-suite with stunning marble tiling. There are two further double bedrooms downstairs which are complete with BIRs including another en-suite to bedroom three large Den with its cosy open fire has direct access out to the sweeping return verandah. Upstairs has a further 2 generous bedrooms, bathroom and study space with a balcony overlooking the north facing rear grounds. 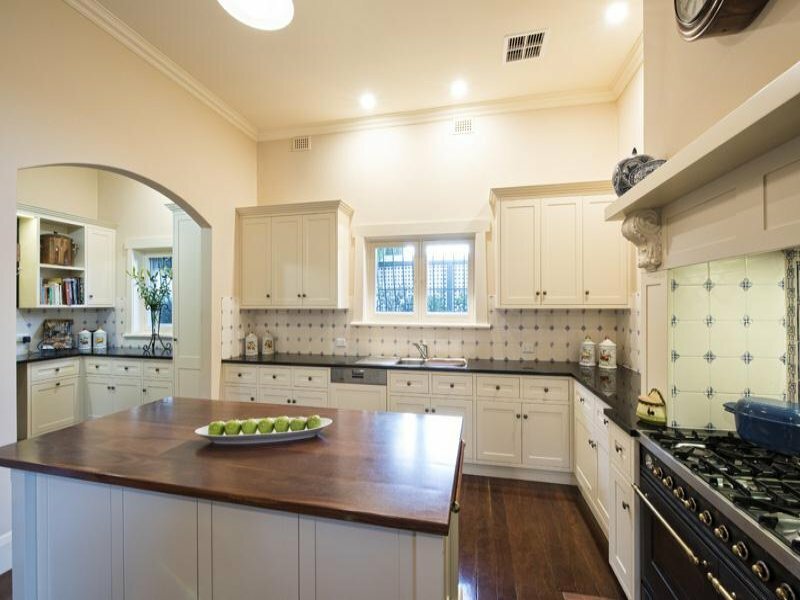 The gorgeous French provincial kitchen is superbly appointed with stunning appliances including 900mm Ilve double oven and integrated Miele dishwasher with a jarrah island bench all adjacent to the convenient scullery. The central location of the kitchen with its clever design and use of space has been host to many glamorous dinner parties. The family living and dining room has ample space for entertaining which extends out through French doors to the impressive covered alfresco area equipped with 5 burner BBQ, dishwasher, sink and mini-fridge. Relax in the solar heated pool and have a hit of tennis on the illuminated synthetic grass tennis court all with a stunning north facing aspect. The garden surrounds are absolutely pristine and perfectly groomed which can be enjoyed from all rooms of this captivating residence. Environmentally sensitive design including rainwater tanks, solar PV and solar hot water also providing heating for the swimming pool.